Historypin staff and guests talk about the One Story Closer initiative at the Library Make’n’Shake in New Orleans. Historypin has officially rolled out its One Story Closer community building initiative, featuring Storybox, its newest toolkit for story sharing. 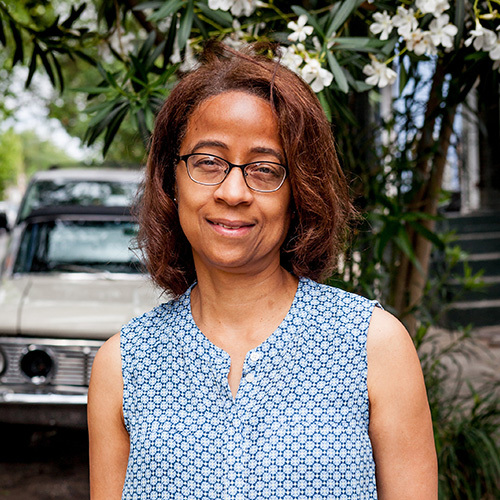 The launch took place at the inaugural Library Make’n’Shake event on June 23 in New Orleans. In a full-on party atmosphere at the Howlin’ Wolf music hall, members of the Historypin team greeted visitors and offered them information about One Story Closer and an up-close look at the new Storybox kit. The Make’n’Shake event, which celebrated creative community engagement, also featured more than a dozen local and national community organizations presenting hands-on exhibits ranging from playful and quirky to culturally profound. Lynette Johnson, Jon Voss and Hali Dardar of the US Historypin team get ready to host guests at the One Story Closer launch party in New Orleans. Guests mingled, munched on snacks, grabbed drinks from the expansive bar and cooled off with snowballs made on site to help them beat the New Orleans heat. Thoughout the day, people relaxed in the cozy Historypin lounge area, engaging in lively conversations, making connections and perusing the Storybox kit materials. In typical New Orleans fashion, a local brass band pumped out smoking-hot second-line dance tunes to close out the event. Several brave souls snared partners and hit the dance floor, gamely daring to keep pace with the wildly energetic Stooges Brass Band. It was just the right vibe for the launch of a program designed to promote social cohesion. 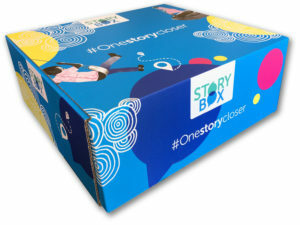 Storybox is part of Historypin’s One Story Closer campaign, which engages people to grow one story closer to others in their community by sharing life stories with one another. In short, One Story Closer exists to increase understanding, empathy and respect. Though the June rollout marks its official launch in the US, Storybox kits have been in the works since 2015. In the course of the program’s development, more than 900 Storybox-driven events in the US, UK, Colombia and Germany have drawn communities closer through story sharing. Historypin’s One Story Closer program is a series of story sharing events facilitated by a host such as a library, museum or other community organization, over the course of six to eight weeks. Story sharing is guided by materials in Historypin’s Storybox toolkit. The program’s current theme is “Roots.” This theme explores the feeling of being “at home” and connected, whether to a person, place or thing. Around this theme, participants share stories about family, origins, migration and community, and what “home” means to them. 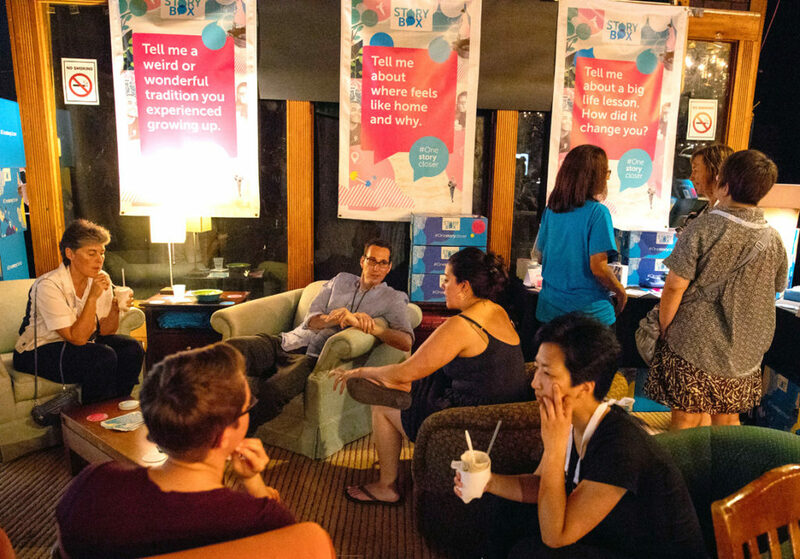 Facilitators and participants collect and display shared stories in digital and analog formats. Facilitators can also use an online dashboard to distribute surveys, collect feedback, and develop reports using the social impact data culled from One Story Closer events. To find out how to bring your community one story closer, contact Jon Voss in the US at jon.voss@historypin.org or Nicole Emmenegger in the UK at nicole.emmenegger@historypin.org. You can also check out the One Story Closer website and the video, below, to learn more about the program. Storybox – One Story Closer from Historypin on Vimeo. 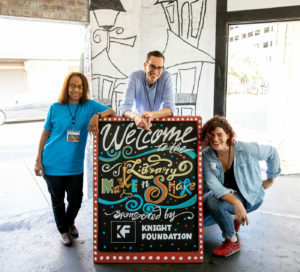 The New Orleans Library Make’n’Shake event was made possible by generous support from the John S. and James L. Knight Foundation and an Anonymous Donor, in partnership with Historypin, the MIT Media Lab and Digital Public Library of America.